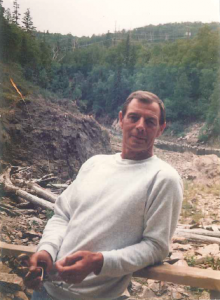 Rodney Dawson, 79, passed away on December 31, 2018 in Vernon, British Columbia. Rodney was born in 1939 in Herne Bay, Kent, England and resided there until 1957 when he moved to Canada to work in the mining industry in Wawa, Ontario. A short time after beginning his family in 1974, the family moved west to Grande Cache, Alberta and then relocated to Campbell River, BC. Rodney’s final move was to the Okanagan with his wife, Jacqueline Dawson, whom he referred to as “the love of his life”. With great sadness, Rodney bid farewell to Jacqueline in 2017 when she succumbed to illness. Rod loved the outdoors, and was a skilled trapper, hunter and fisherman. He and Jacqueline travelled for many years to the sandy beaches of Mexico. He was a hard worker and a respected man with a keen and clever sense of humour that brought a smile to the faces of those around him. Left behind to mourn his loss and carry on his memory are his children, grandchildren and numerous family members and friends who loved him beyond measure. A special thank you is extended to the staff at the Vernon Jubilee Hospital and the North Okanagan Hospice House in Vernon for their loving care and support during his final days.